Francois Piednoel, an high performance computer analyst at Intel, has spent two years pushing Atom-powered tablet to their limits, resulting in a compilation of software programming tips that he calls “a recipe for a good tablet.” Here he shows how he optimized an older "Pineview" Atom-powered tablet so it could respond quickly to touch and share media with a computer-connected TV. The tablet are running Windows 7. 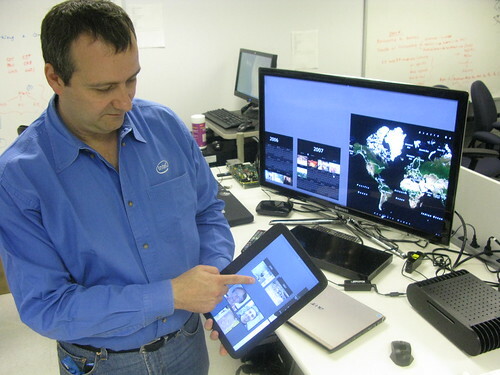 Intel Free Press story: From High-End Desktops to Tablets: A Recipe for Success.